I just found my old web site on archive.org :-), and a lot of memories comes back. When I made my first web site (in 1994 or 1995?) there was only one other web site on the whole internets that contained the word “Bujinkan” (I think his name was Shawn (an American not Canadian 😉 )). But before that I operated my own Fidonet BBS called 2:201/2123 Moko no Tora BBS on a computer under my bed between 1992-1996 (approximately, I don’t remember exactly). I was also at Compuserve when they got their first modem pool in Sweden. At that time you could not access the internets from your home as a private person. There was no provider that offered a modem pool you could call up, it was only at big companies and university’s at this time. Until Ragnar Lönn started Algonet in 1994 offering a connection for private persons. If I remember correctly, I got my subscription around Christmas time, and immediately started learning HTML by making the web site. There was only the MS *plorer and Netscape browsers, I remember Netscape was better because you could change the colours on the fonts and background. There was HTML programs, but they where buggy, annoying and didn’t keep up with the new features that the Netscape browser gave. So I learned typing HTML with a simple text editor. I still do this, but I also use a CMS system (this site is on W0rpqr*ss ). This was link site with thousands of Martial Arts links, driven by a text database, but someone had to manually update with new links, lot’s of work. Thanks to Baubak G who helped me with this! Means polish your sword or skills. With a couple of thousand members it could sometimes get maybe too political, but often there was good discussions. Back then people where new to the internets and was willing to share stuff, even if it wasn’t well researched (me included). NinZine actually started before in my Fidonet and Compuserve days. It was a type of multimedia magazine where you needed a PC with DOS to make it work. Later Liz made Ura & Omote which was more text based articles. I think I only released five or six issues. I tried to find the old zip files but can’t find them. If anyone have them, please contact me :-). I have planned for a while to use the NinZine name again for the bujinkan.me web site project. Was a kind of portal for each country that showed links to web sites, clubs and local seminars for respective country. Here is Sweden for example (13 training groups, 23 web sites and 6 seminars registered at the time). This was probably the most popular segment. Thanks to Peter C who gave me most of the school information in the beginning. I added more and more to the pages without thinking or being able to check it’s sources. At the end I removed most of the ryu-ha history notes because I was fed up with some people who knew better that liked to critizice instead of helping, people who took the information and presented it as their own. But mostly because it became too much work, people expected me to update the web site continually, and I wasn’t making any money on it. In 2005 I moved the forum to another web site, and about his time I went from 10 000 hits per month to a couple of thousand. The bujinkan.me/ninzine is the new NinZine! It is a script that get articles via selected RSS sources. 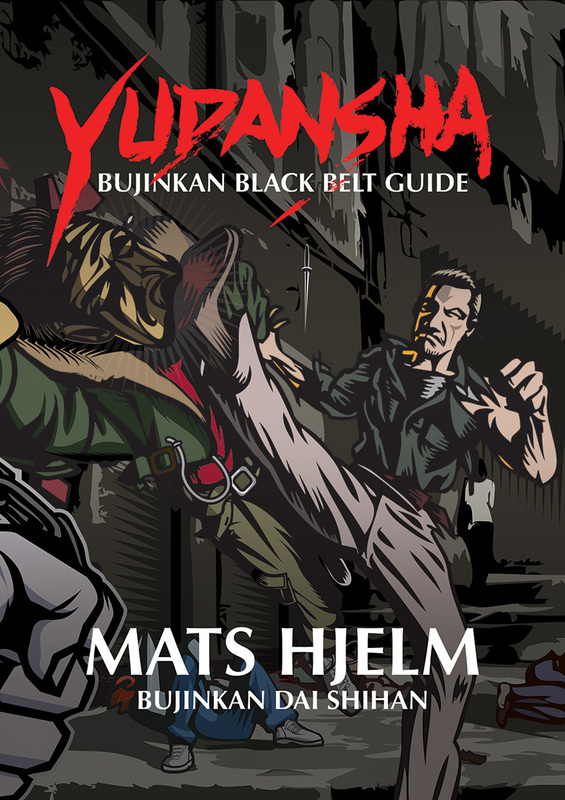 Contributions is by people with their own blogs that I think make a good contribution to the Bujinkan community. The Dojo locator is the new Dojo address database!. This is now handled by Google places, just make sure to include Bujinkan as a tag to get included here. The Seminar database is practically the same as before. The links…, when I started there was no Google! Well I don’t know how to wrap this article! Can’t believe I’ve been doing this for more than 15 years! I wonder how it will look like in another 15 years? is the third Ninja boom coming?